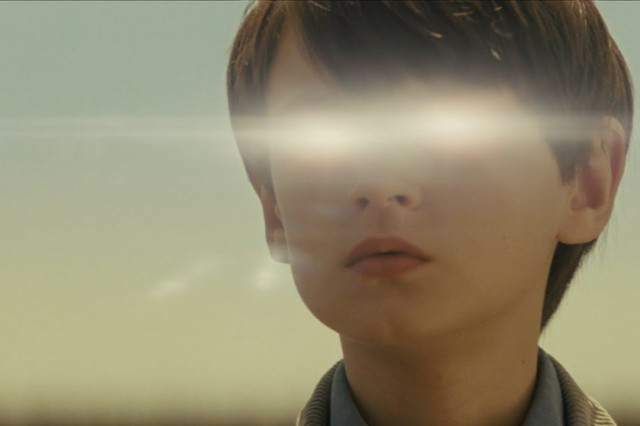 On paper, I shouldn’t like Midnight Special. It’s overly long, slightly pretentious and nowhere near as deep as it thinks it is, but despite all that, I actually thought it was a pretty good film and an entertaining watch. 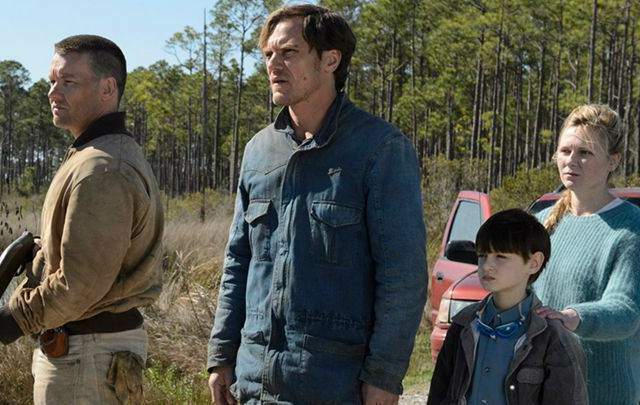 The film follows Roy (Michael Shannon) who kidnaps/rescues his son, Alton (Jaeden Lieberher), from a religious cult’s ranch where the boy has been kept for the last two years. This group have a special interest in the boy for his unusual powers which I won’t spoil here, but include the ability to hear radio waves. This catches the attention of the FBI, and NSA agent Paul Sevier (Adam Driver), who grow concerned about his ability. Roy’s solution? Get the boy to his mother Sarah (Kirsten Dunst) and hope that the reunited family can escape the long arm of the law. 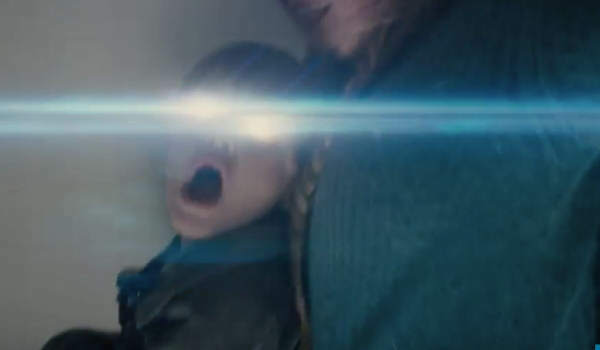 A lot of reviewers have described the movie as feeling like a Spielberg picture and I can certainly see where they’re coming from – the film most definitely has elements taken from Close Encounters of the Third Kind and there are moments of genuine excitement and drama that feel like one of Steven’s classics, in particular ET and the aforementioned Close Encounters. However, the problem is that I never thought that the film had the same emotional depth as a Spielberg movie, and there were times when I was left questioning why some of these people were getting involved in the family’s adventures. All of which leads me into my main criticism of the piece. 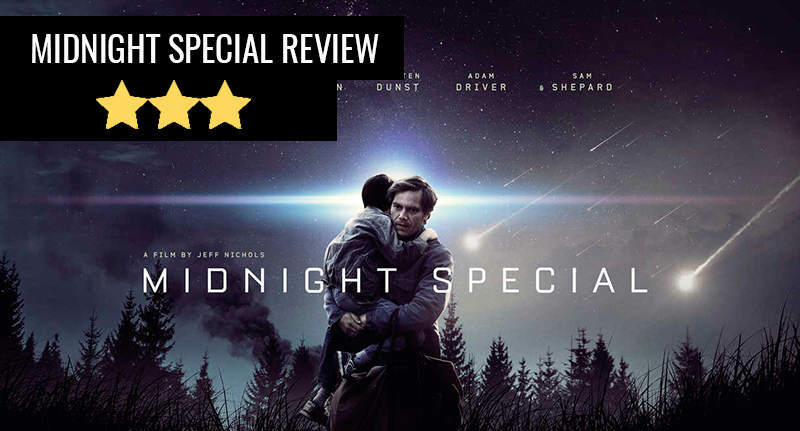 The film’s director, Jeff Nichols, seems to have seen the film as an exercise in not properly explaining things, and that’s fine, we can all appreciate a film that allows us to draw our own conclusions. Unfortunately, by choosing to be opaque, you’re going to have to trust that your characters are strong enough for the audience to get emotionally attached to them, and I don’t know that the film achieved this. Also, by choosing not to explain things, although it may show a healthy respect for the audience, it doesn’t always make for the most compelling of story choices, and in Midnight their are plenty of dangling plot threads at the end. We never find out exactly what the cult had planned for Alton and, in fact, they’re rather irritatingly forgotten about a third of the way through the film. And, yet, despite these flaws, I actually really enjoyed the film and thought it was a solid genre piece, with a lot to like. Michael Shannon is great in it (honestly, when is he not great? ), it’s well directed and there are some nice story beats. Ultimately, I feel warmly towards the film because it has a compelling mystery and, while I wasn’t overly invested in anyone aside from Shannon, I was invested in solving the mystery of who Alton was. Regrettably, the ending (which I’ll try to avoid spoiling) was weak. In fact, I’d go beyond that and say it almost tipped into M. Night Shyamalan levels of stupidity, and the film only saved itself from a roasting by being more compelling throughout the rest of its run-time. 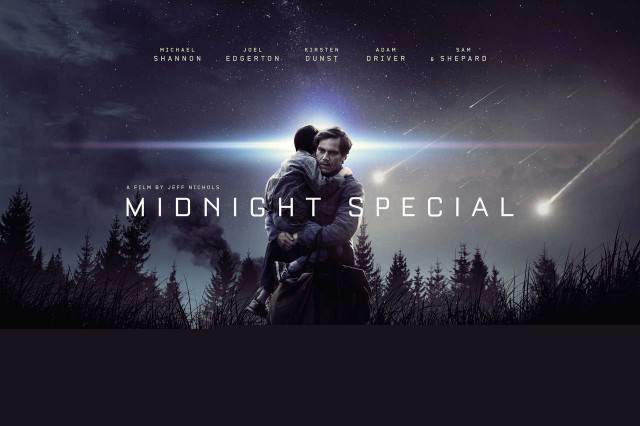 While the film is definitely not going to be to everyone’s tastes, and may shock those who go in expecting a more standard sci-fi experience, I think there’s enough in it to like that it does indeed feel special.